We are producing a newsletter for K-12 teachers that is distributed three times a year (Fall, Winter and Spring). 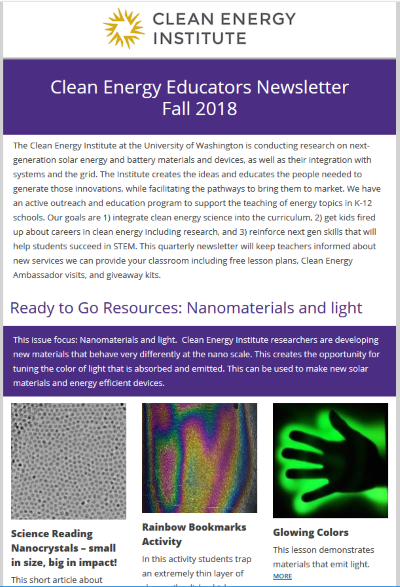 Each issue focuses on a specific science area and provides readings, lesson plans and other links to help educators bring state-of-the-art research to the classroom. Sign up to receive an email newsletter .